It seems like every weekend there's a new awards show and red carpet to watch, and it won't be slowing down anytime soon. Next up on the award season docket? The Grammys, which air Sunday, Feb. 8. Is there anything better than seeing all of your favorite celebrities in one place? There's just one problem: one of my favorite musicians will be missing from music's biggest night. 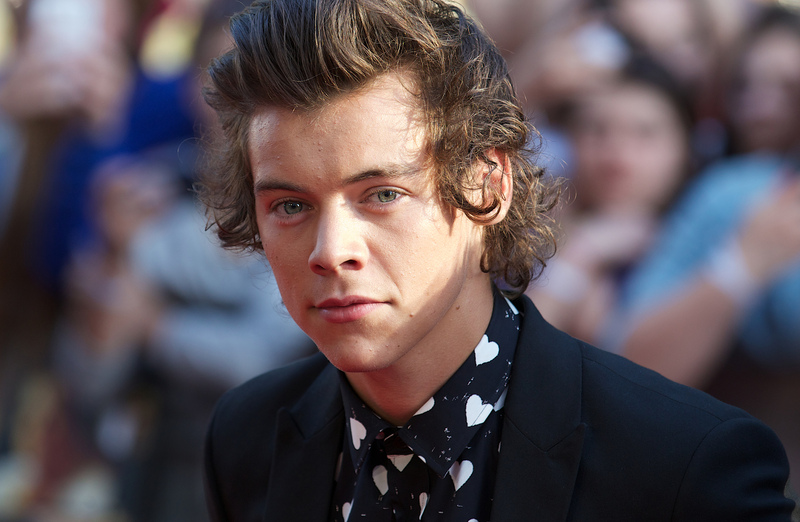 This year, Harry Styles won't be at the Grammys, and neither will any of his bandmates. Heartbreaking, I know, but at least it's for a very good reason. Styles and the rest of 1D will be in Sydney, Australia, performing for their fans, because the On The Road Again tour kicks off the day before the Grammys. So yeah, I'd say Styles has a pretty good excuse. And fortunately, Styles won't be missing much, because One Direction wasn't nominated for any of the highly coveted awards this year. It seems impossible with how phenomenal their latest album release, Four, is, but it's true. Don't feel too bad, though — you and I both know that Styles wins all of the awards in our hearts, and besides, none of the guys actually seem too upset about the snub. Styles has said that this year brought in some tough competition, and that he and the rest of the band are happy to be nominated at other shows. OK, this is exactly why I love him. But am I over the fact that I won't be seeing his beautiful face strutting down the red carpet on Sunday, wearing whatever atrocious hat he dug up for the occasion? Nope. I'm not. But it's fine, guys. We can get through this. Besides, it's an awesome thing that One Direction's next tour is already starting, because I am so ready to see the guys live again. I paid way too much to see them on the Where We Are tour last summer, and it was worth every penny and every overzealous concert mom I had to battle along the way. Styles, come back to me! Fortunately, there's still tons to look forward to, so don't skip out on the Grammys this year just because Styles won't be there (though I'd totally understand if you did). Beyoncé is reportedly planning to perform as part of a tribute to Selma, and Beyoncé's presence compensates for all things. Taylor Swift will be dancing in the audience, as usual. And if you're worried there won't be enough adorable Brits without One Direction, fear not. Ed Sheeran and Sam Smith are both performing, too. Maybe next year, Styles? Let's make it a date.